it and if by chance there is any leftover, it's good the next day. There are a lot of different recipes out there for this salad and I've settled on this one because it's not overdressed and is a perfect balance of crunchy, sweet and salty. 1. 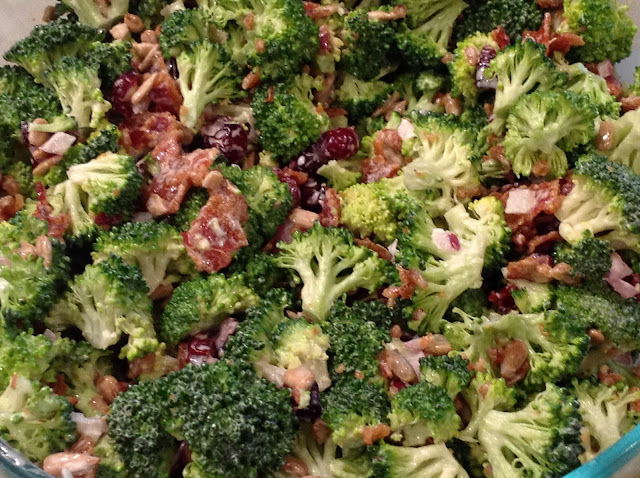 Combine broccoli, bacon, onion, sunflower seeds and cranberries in a large bowl.